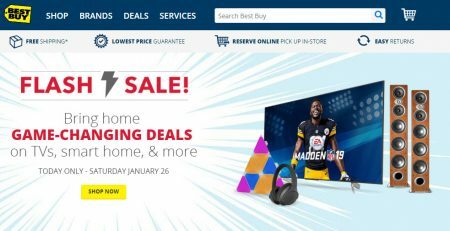 Best Buy is having a 1-day only Flash Sale today (Saturday, January 26, 2019). Best Buy offers free shipping on online orders over $35. Click here to shop Best Buy online now or for more details about this sale.